Afghan Skunk Marijuana is strong and easy to grow being also compact and productive. Its Skunk part has a powerful scent that envelops you completely as well as its Indica effect. This excellent hybrid strain is a genuine all-terrain suitable for all methods of cultivation which makes it a strain of easy cultivation. 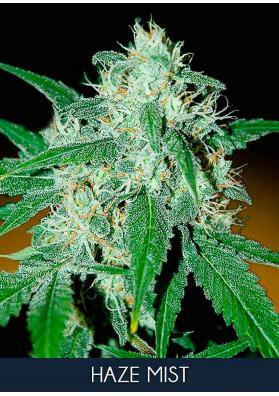 Afghan Skunk has a good performance, producing large and dense flowers. It is compact and can reach 100cm high in indoors, while its structure expands when grown in outdoors. The plant can withstand cold and rain quite well and acquires a very striking shades of red under cold climates. The scent of Afghan Skunk is very marked and deep with fruity and sweet hints. In this way, it is advisable to use an odor filter if cultivated inside. With a strong Indica effect, Afghan Skunk has a medium-high power high containing 17% of THC and a high content of CBD.